John Temple Archives - Joelle Delbourgo Associates, Inc.
Edgar Award-nominated American Pain author John Temple’s new book chronicling the real-life Western epic of the Cliven Bundy clan and their thousands of zealous followers, from the 2014 standoff with federal officers at Bundy Ranch in Nevada to the 2016 takeover of a federal wildlife reserve in Oregon, in a saga that sheds light on America’s current state of civil discontent. (World Rights/BenBella Books/2018). Fun to see that VARIETY picked up the story about the film deal with Warner Brothers for John Temple’s AMERICAN PAIN: How a 27-year old Felon and Five Doctors Unleashed the Deadliest Drug Epidemic in U.S. History. Film agent par excellence, Shari Smiley (Gotham Group) brokered the deal with Warner Brothers after attracting Dallas Buyers Club screenwriter Melisa Wallack to the project. Greg Berlant, who produced and wrote “The Green Lantern” and the upcoming Peter Pan origins movie “Pan” will produce. Can’t wait to hit the red carpet! John Temple’s AMERICAN PAIN, a chronicle of the rise and fall of the nation’s biggest painkiller trafficking ring, has been optioned to Warner Brothers, with Greg Berlanti’s company producing and Melisa Wallack (Dallas Buyers’ Club) to write the screenplay by Shari Smiley of the Gotham Group on behalf of JDA agent Jacqueline Flynn. 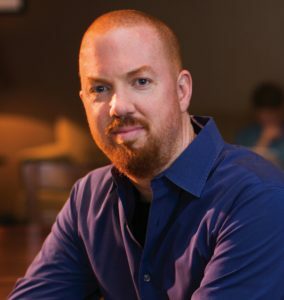 John is the author of The Last Lawyer and Deadhouse. 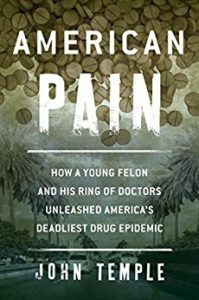 He is currently writing American Pain: How a 27-year old Felon and Five Doctors Unleashed the Deadliest Drug Epidemic in U.S. History, a chronicle of the rise and fall of the nation’s biggest painkiller trafficking ring in a shocking exposé that is populated by a gaudy and diverse cast of characters that includes the incongruous band of wealthy bad boys, thugs and esteemed physicians who built American Pain, as well as the cops and grieving mothers who labored for years to bring them to justice. Look for it in 2015 from Lyons Press. John Temple is the author of “American Pain,” the true story of two young felons who built a colossal pain clinic that sold drugs to addicts, made millions, and couldn’t be stopped. Critics call the book “propulsive,” “exhilarating,” “hysterically funny,” “tragic,” “gripping,” “thrilling,” and “anger-inducing.” The New York Post named it one of their “Favorite Books of 2015,” and Suspense Magazine named it one of the “Best True Crime Books of 2015.” The book was nominated for an Edgar Award and Foreword Reviews named it the INDIEFAB Book of the Year in True Crime. Temple also published a narrative nonfiction book in 2005 called “Deadhouse,” about the exploits of deputy coroners in Pittsburgh. The book shadows the death investigators for year as they work murder scenes in the projects and pull floaters from the Allegheny River. Temple is a professor of journalism at the Reed College of Media at West Virginia University in Morgantown, WV. Before becoming a professor, Temple was a reporter for metro daily newspapers in Tampa and Pittsburgh. He is the father of two sons, and his wife, Hollee Schwartz Temple, is a law professor and author of the inspiring book, “Good Enough is the New Perfect: Finding Happiness and Success in Modern Motherhood.” For more about John Temple, visit his website at www.johntemplebooks.com.